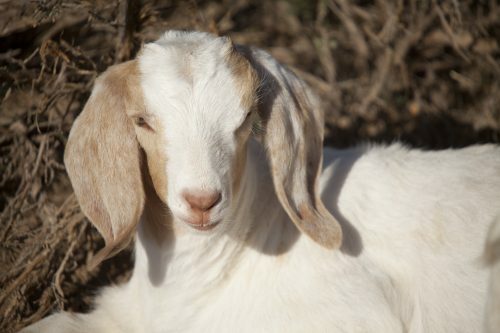 A baby goat laying down and relaxing in the pasture. “What kind of Goats do you raise?” The question comes up at every farmers market… the truth is everything and nothing. At this point they’re Free Reign goats. The Free Reign way of life was founded on natural principals. We eat clean food, use chemical free soaps, cosmetics and cleaners. Use natural herbal remedies, and respect the animals and the earth that help us do it. 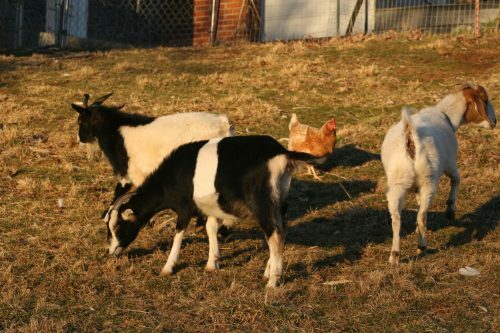 We started raising goats by purchasing some of the best Alpine and Toggenburg genetics in the country; beautiful, well-bred, and HIGH volume milkers. We brought them home to our natural pastures, started them on non-gmo feed, natural herbal supplements, and turned them loose… and before long they were thin, anemic and sick. We didn’t understand. They had plenty of pasture, the best of everything. What was wrong? The Answer Wasn’t What We Wanted to Hear! The answers came from vets, research, other goat experts, articles, and more. It wasn’t the answers we hoped for. Due to the warm, wet climates of our beautiful Smoky Mountains, they are a virtual haven for growing parasites! 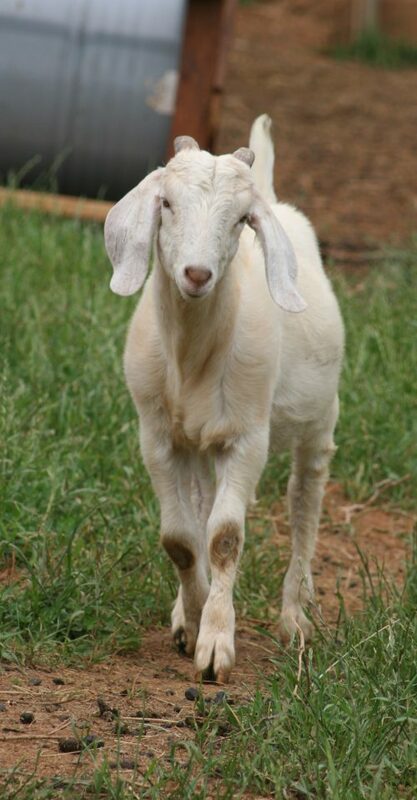 The goat industry has known that parasites are the leading cause of goat health problems. Thus, for decades their best advice was to deworm regularly (every 30 days)… with up to 5x the label dose of chemical dewormers! The result was wide-spread parasite resistance—worms that nothing on the market could kill. It’s devastating herds throughout the south. Mortality rates have sky rocketed, entire fields have to be quarantined for up to 5 years! 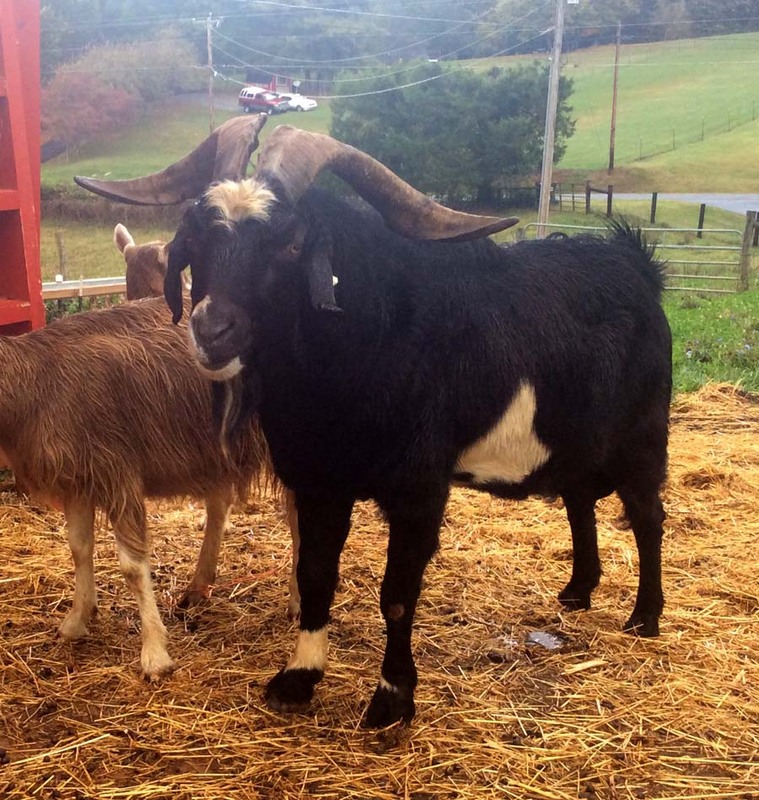 The commercial dairy goat industry responded by changing how it raises goats. Keep them in barns, on concrete that is bleached daily, remove all bedding daily-sometimes multiple times daily, never let newborn kids touch dirt, or eat grass. Raise kids on worm prevention and antibiotics from the time they are just days old. All this became necessary just to keep them alive. We weren’t prepared to raise our animals this way. Surely there had to be another way! We wanted a more natural solution that would keep them healthy but still allow them to live happy, normal goat lives in sunshine and green pasture. 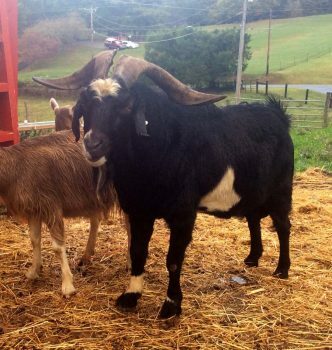 We discovered a group of people raising parasite resistant meat goats called Kikos. These little goats are tough! They were bred through natural selection in wild New Zealand to be able to withstand a parasite loaded environment and still grow and thrive–on pasture! It sounded too good to be true. We found a couple local breeders and brought two does home just to see what would happen. Sure enough, the following spring they both kidded twins, raised them up on pasture, and all without ever needing a dose of wormer. The does and kids thrived. We were very excited, but we still needed to address some issues. These goats, while coming from dairy stock and excellent milkers are wild… it was hard to get our hands on the-let alone get them on a milk stand! This comes from their breed development from the feral goats of New Zealand. The following fall we borrowed a Kiko buck to breed all our dairy does to. The result? About 50% of the kids didn’t need any kind of worming and they survived and grew. We kept the does out of that 50% and started changing the herd radically. The first Kiko buck we borrowed. He’s an impressive boy! Parasite resistance is our first priority but we have other goals as well. After all, parasite resistant goats that don’t make much milk are no good to us. With dairy operations you have to breed the does every year. This means we get lots of babies! About 50-70% of those babies on any given year are bucks. Purebred dairy bucks have some market. But in producing cross bred dairy/kiko bucks we found a new problem. No one wants a mixed breed buck in a dairy operation and the meat goat market doesn’t like the thinner, lighter frames of the dairy crosses. We sold bucks for pennies on the dollar of what it cost to produce them. Obviously this isn’t a sustainable model either. We needed to find a way to keep parasite resistance, add size and frame enough to satisfy the meat goat market, and make sure the does produced enough milk to keep us supplied with milk for our soap making. Culling began in earnest, reducing our overall numbers by up to 50% each year to weed out what didn’t fit our ideal. We brought in heavy milking Kiko does and utilized hybrid vigor by diversifying our breed base to expand genetics and the results are finally reaching our goals. We have 75% kiko does that we put on the milk stand that can match or out produce our best dairy does–and never need deworming. These does raise healthy, fast growing offspring that have enough size to please the meat buyers. This has drastically changed our bottom line as a dairy operation. Bucklings that used to sell for less than what it cost to raise them, are now a net gain. We can consistently wean 35-40 lb weanling off our kiko does at 90 days of age. These bucklings bring $2.75/lb making them a valuable asset to the dairy operation rather than a collateral net negative. The doelings raised from our kiko does have consistently grown quickly–much faster than dairy breeds and they do so on very minimal input. This means they enter production up to 14 months sooner than our dairy does did. Adding valuable milk to the dairy operation. Plus input costs on the entire herd have gone down. Let’s face it… feeding parasites is expensive and so are the treatments to eliminate them. We found that after the herd coverted our overall healthcare costs went down and feed conversion rates (volume of feed to volume of milk or meat produced) drastically improved. And our Free Reign goat crosses live outside, on grass, in the sunshine, and aren’t sick, anemic or in constant need of medical intervention. This coming kidding season we are looking forward to some babies sired by a mix of our own hybrid goats, plus a Purebred New Zealand goat! While this is a highly unconventional way of raising dairy goats we have found it to be superior in both health for the herd and financial viability of the dairy operation and highly recommend that those looking to raise sustainable dairy goats look in this direction for answers. Fix It Herbal Salve. The Perfect Fix from Head to Bum.